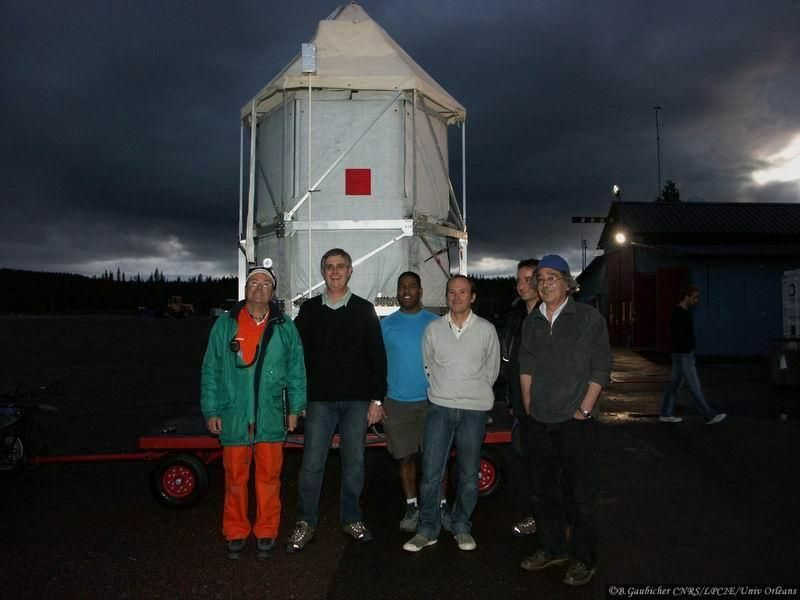 Is a spectrometer with six tunable diode lasers dedicated to in situ measurements of trace compounds in the upper troposphere and the stratosphere up to 35 km altitude. The 6 laser beams circulate in a multipass HERRIOTT cell located below the gondola. 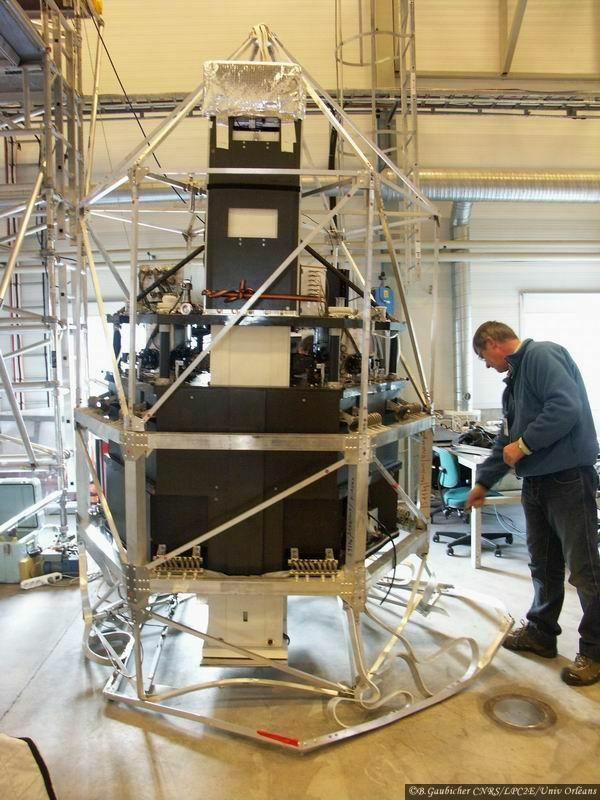 The lower mirror of the two-mirror cell is fixed at the top of a deployable mast. The distance between mirror is about 3.50 m. Given the curvature of the two identical mirrors, two stable optical configuration can be used : first 86 reflections and 300 m optical path, second 156 reflections and 554 m optical path, by moving the lower mirror 5 mm up. 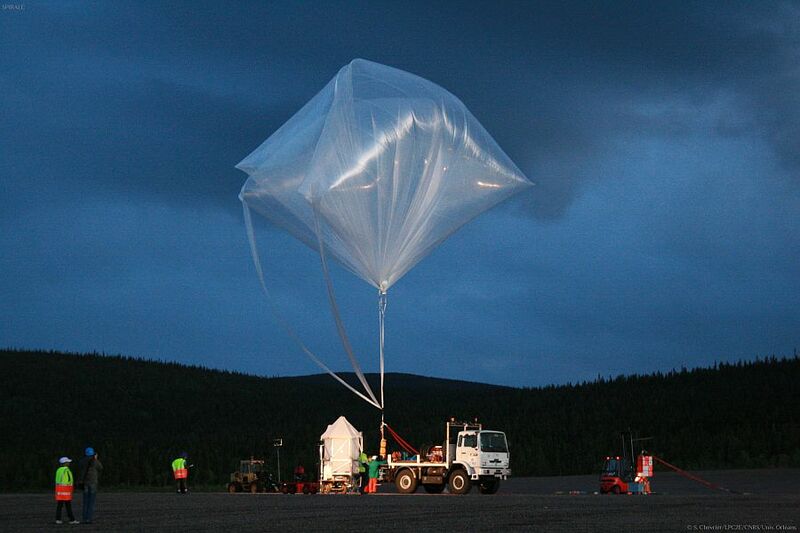 The mast is deployed during the flight to have the first measurements at the tropopause. Around the instrument, a rigid metal frame encompasses it, in order to have a instrument-safe landing. Inside the instrument, three liquid nitrogen cryostats, hold the six diode lasers and the 12 detectors. Vertical profiles of concentrations of a great number of species like O3, CH4, CO, CO2, N2O, HNO3, NO2, NO, HCl, HOCl, H2O2, and COF2, are measured with a very high vertical resolution, a high sensitivity and a high precision. 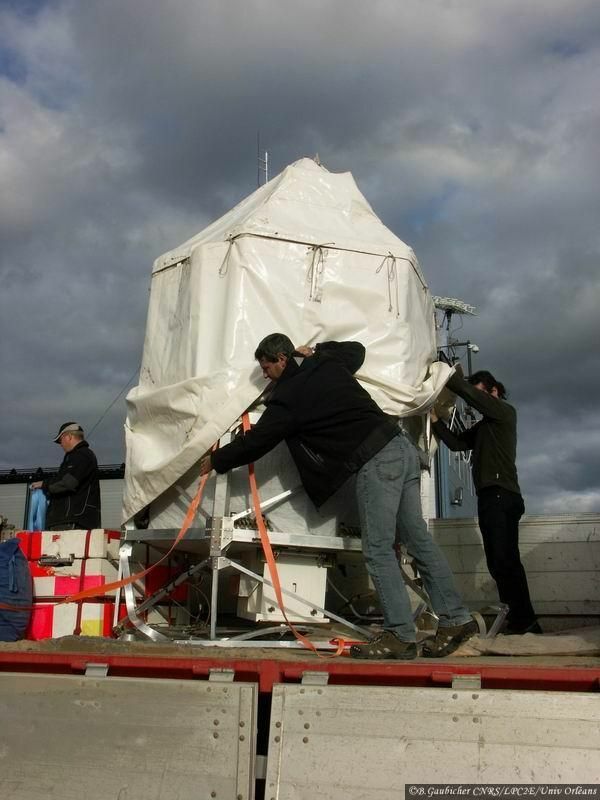 Also was included as piggyback payload an instrument called STAC (Stratospheric and Tropospheric Aerosols Counter) which is a particle counter dedicated to perform in-situ measurements of the aerosol size distributions from the middle troposphere to the middle stratosphere. STAC provides concentration profiles of liquid particles for diameters greater than 0.35 micrometers and of solid particles for diameters greater than 1 micrometer. 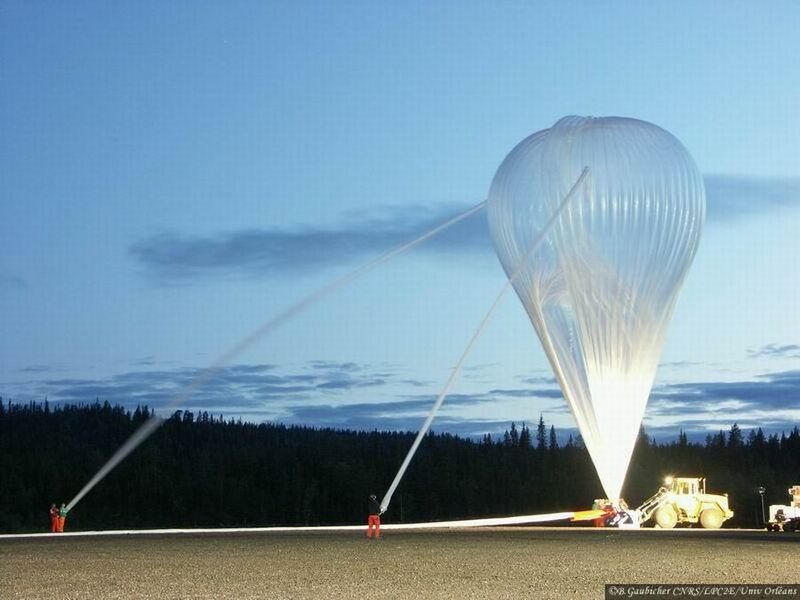 The balloon was launched by Auxiliary balloon method on 24 August, 2009 at 20:28 UTC. After a nominal ascent phase the balloon reached the ceiling of 34 km and then was valved down to start a slow descent until 1:28 utc when was terminated. The gondola landed in a forest zone located 27 km SSE of Kiruna.